- Birthplace: New York City (Queens), New York. - Hometown: Central Islip, New York. B.A. : The Johns Hopkins University, 1990. True Citizens: Violence, Memory, and Identity in the Medieval Community of Perpignan, 1162-1397, Brill, 2000; translated by Aymat Catafau as De vrais citoyens: violence, mémoire, et identité dans la communauté médiévale de Perpignan, 1162-1397, Editions Trabucaire, 2004. Co-edited with Philip Whalen. French Historians, 1900-2000. New Historical Writing in Twentieth-Century France, Wiley-Blackwell, 2010. Saint Vincent Ferrer, His World and Life: Religion and Society in Late Medieval Europe, Palgrave Macmillan, 2016. "One Will, One Voice, and Equal Love: Papal Elections and the Liber Pontificalis in the Early Middle Ages," Archivum historiae pontificiae 31 (1993): 11-31. "Town and Countryside in Northeastern Catalonia, 1267-ca. 1450: The sobreposats de la horta of Perpignan," Journal of Medieval History 24 (1998): 347-66. "The Vanishing Consulates of Catalonia," Speculum 74 (1999): 65-94. "La coutume dans un pays aux trois religions: la Catalogne, 1228-1319," Annales du Midi 118 (2006): 369-385. "Catalonia and the Midi: Sixty Years of Urban History," Imago temporis: medium aevum 1 (2007) 31-58. "Local Experiences of the Great Western Schism," in J. Rollo-Koster and T. Izbicki (eds. ), A Companion to the Great Western Schism (1378-1417), Brill, 2009, pp. 89-121. "The High Middle Ages." CD/DVD. Chantilly, Virginia: The Teaching Company, 2001 (consists of twenty-four thirty-minute lectures and accompanying written materials). "The Early Middle Ages." CD/DVD. Chantilly, Virginia: The Teaching Company, 2004 (consists of twenty-four thirty-minute lectures and accompanying written materials). "The Late Middle Ages." CD/DVD. Chantilly, Virginia: The Teaching Company, 2007 (consists of twenty-four thirty-minute lectures and accompanying written materials). "How the Crusades Changed History," CD/MP3. The Teaching Company: Chantilly, Virginia, 2013 (consists of twenty-four thirty-minute lectures and accompanying written material). 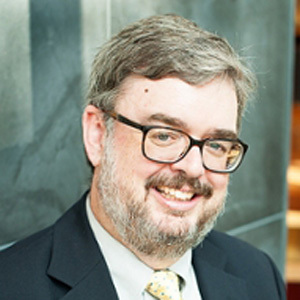 Has served as Chair of the Department of History, Director of the Program in Medieval and Renaissance Studies, and Ombudsperson for the Graduate School of Arts and Sciences.